While only 1,600 new housing units were completed in San Francisco over the past year and commercial space in the city declined by 183,000 square feet (due to conversions to residential use), there are now over 6,000 housing units under construction in the City which should hit the market over the next year or two along with 900,000 feet of commercial space. Building permits for another 9,500 housing units in San Francisco have either been approved or requested, units which should start hitting the market in two to four years along with another 5,000,000 square feet of commercial space. 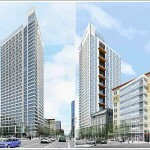 In addition to the nearly 16,000 housing units which are either under construction, ready to break ground, or waiting for a permit, another 27,000 housing units have been entitled to be built in San Francisco which includes 10,500 units by Candlestick, 7,800 units on Treasure Island and 5,680 units in Park-Merced, projects which still have timelines measured in decades, not years. 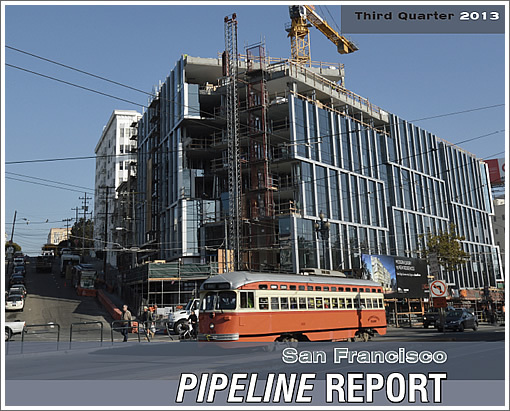 And with plans for an additional 7,650 housing units on the boards, San Francisco’s Housing Pipeline currently totals over 50,000 units. For context, a total of roughly 12,000 housing units have been built in San Francisco since 2007; a total of 26,000 new units since 2000. With respect to commercial development in San Francisco, in addition to the nearly 6,000,0000 square feet already under construction, ready to break ground or awaiting a permit, plans for another 6,000,000 square feet of commercial development have been approved. I’m not sure its fair to count some of those projects. So SF is not going to even come close to doing it alone, for a variety of reasons, mostly stupid. That means it’s going to be up to the Bay Area region at large to pick up the slack, and we need to be supporting a region-wide expansion of housing, as well as public transit, to make it workable…since we know we don’t want our roads to be like LA’s, but will inside of 20 years, if we don’t do anything. I’d like this blog to cover issues of major developments and sites within 75 miles of SF proper, and readers should get involved and contact representatives if stupidity reigns – with special attention to development near BART, Caltrain, or other rail stations. That is, if there is significant acreage near a station, and it’s not 750+ units, stupidity is happening. People have got to start advocating within the system – it’s all we’ve got, otherwise we’re just complaining. Wonder what units would be counted in the “downtown” part of this – downtown has the most units of anywhere in the City. Especially since SOMA is counted separately. Is there any data that shows how many units are expected to be completed per year? It’s great to see so much in the pipeline, but without know when the units are expected makes the information pretty limited in utility. Units on Treasure Island? That has to be one of the WORST locations in the Bay Area. You will need to go on the Bay Bridge to go anywhere. Some lower middle class people that don’t have the ability to anticipate the types of problems that might arise with isolated island living will end up there, but they will regret it then find out it is too costly to move back. That might be the goal. Also, I’m in agreement with everyone who points out that the 50,000 is an empty number. There’s no telling whether or when most of those units will be built. Agreed with all that 50K is not a real useful number, but as the post above points out, there are nearly 16,000 near term units (~6,000 under construction, ~9,500 with building permits or requests). These are real short term units, although anything that hasn’t actually started construction may be slowed or stopped by economic changes. We should feel pretty good about being able to meet the 5,000 per year for the short term. I do worry about what happens when the easy places begin to fill up, because I’m not at all optimistic about things like Treasure Island as having much reality. keep up with the trend of housing become hotel rooms. Not complaining, just stating. Regarding the comment about foreign investors, unlike London, New York and Miami, San Francisco does not seem to be a place were foreigners want to park money in real estate. However,for decades Asians have purchased housing here but they then use the units for themselves and family during portions of the year. We are also seeing large numbers of older people selling large houses elsewhere in the City or the suburbs buying into the new multi-unit buildings. They often have country houses or go on long trips so are not here all the time. these are all real people you enjoy the City. @Frank C – I agree completely – we may be fine meeting the 5k units/year for the next five years or so, but after that it will get exponentially harder to find space for new units unless zoning changes substantially. What the bay really needs is a second BART tube to the East Bay – perhaps connecting Alameda/Jack London Sq. to Mission Bay/Showplace (or C Chavez if it gets rezoned.) Probably not gonna happen in the near future since Willie’s $6 billion bridge left everyone queasy. seriously? I would argue that BART needs to do some focus within San Francisco, say under geary and vanness. it already greatly serves the east bay. I go away to my home in Florida for seven months a year then come back to SF and manage my business affairs for three months. Over the last few years I have noticed every time I return to SF there are more people on the sidewalks, more cars on the streets, more restaurants packed to the gills. At some point this city is going to become very uncomfortable for it’s inhabitants…. Developments now proposed as “commons”. Micro units being build at 250 sqft each and smaller units being proposed….150 sqft each. And for what it’s worth IMHO… SPUR is nothing more than a lobbyist group for developers in SF. Why people give them so much credibility for being a “think tank” is beyond me. If it were left up to SPUR they would cover every square inch of SF with uber dense micro housing units. SF is way over priced for smart investors looking down the long road to riches. Try Fremont for stupidity. They are planning for the redevelopment 100-200 acres around the new Warm Springs BART Station (under construction) as TOD but renderings for the residential product show buildings that are mostly just 3-5 stories. A true waste given the proximity to BART. The suburban mind-set seems to have a thing against high-rise construction. This will be mostly green field development, so there aren’t really a lot of neighbors that need to be kept happy, either. London, NYC and Miami may get more foreign buyers, but percent-wise (relative to new construction, which NYC and Miami have a lot more of) SF gets substantial foreign buyers too- especially from Asia. And given the small number of new for sale units, they make a noticeable impact. An impact in addition to foreigners who actually reside here part time, or well off retiring boomers who split time town and country style. Most of the 6200 units coming online in 1-2 years are rentals. That’s what was getting financing when no one believed the SF housing market would roar back so quickly (and strongly) 2-4 years ago when these developments were conceived. As a consequence we are going to have little for sale inventory. Rental rates will moderate, but haven’t so far. I was kinda worried about that Vara development on mission and 15th since I have a building a block away. But no, those all got rented out, and at ridiculous rents too. Don’t think my tenants will be jumping ship. Frankly I’m bullish on SF as a place to invest, if you have the kind of cash needed to play in this market. You have a very strong chance for substantial appreciation over the next 5-10 years, always easy to rent units out, and a high quality of (new) tenant pool. This is blue chip investing through and through. OTOH diving into places like Detroit is crazy risky! It’s not that some houses are cheap, it’s that many have negative value. Liability and taxes are more than they are worth. I wouldn’t touch that place unless I lived nearby, knew areas well and was basically all in. Not a casual place for someone to dabble in, that’s for sure. Frank C is completely wrong for numerous reasons. He overestimates the foreign investor aspect. I could point to 3500 Valencia as an example — “old money, new money, techies, finance” per the JK Dineen SF business Time article. Then there’s the offsite affordable housing aspect, adding to the housing pool. Not to mention simple supply and demand. A relative trading-up trading-down occurs, freeing “luxury” buyers from let’s say the older SOMA loft buying demographic, for one. And of course there’s the fact that today’s luxury is likely the next generation’s middle-high rental stock, freeing up a class below it, freeing up a class below it, and so on. The ignorant “luxury foreign buyer” from libertarian/conservative oriented, or “millionaire condo” from progressive oriented, twin memes, are for the birds. When a big earthquake hits and destroys the city, what happens to your wise investment? Say, you bought a unit in a 10 story building, and it collapses? Does the city build exactly the same size building with the same number of units, and is your investment replaced? Or is that only if you have earthquake insurance? And isn’t earthquake insurance just a Ponzi scheme? Look at New Orleans after Katrina and all those insurance companies refusing to pay their insureds. Who wins out on a national disaster? Seems thr is the surest way for real estate values to become affordable. Totally agree with keepitup. There is a certain level of density after which many long-time residents and workers will not find it pleasant to live or work in the City. Most people do not want Kowloon-level density in downtown SF. Aside from that, I wonder how the political landscape will change as demographics become younger and wealthier. Anyone know what the 250+ unit development that is included in the Western Additions number is? I tried to look for something about it but couldn’t find anything. I’ve started to see a few smaller developments popping up but wonder where they would fit such a large development in that neighborhood. This is perhaps the most idiotic, hyperbolic meme on this site. Please kill it dead. KWC had density over 1m persons per square mile, well over 50x denser than SF and 10x denser than Manhattan. The vast majority of SF is less dense than Brooklyn, which is not a cyperpunk dystopia by any measure. Addendum: Even if the person was referring to modern day Kowloon, and not the Kowloon-walled city which is usually referenced on this site, the population density of modern Kowloon is over 100k persons per square mile, higher than any single neighborhood in SF and more than 5x higher than the city average. “When the big one wipes out the city, who’s the smart guy then” …. Really? You could tailor a flame along those lines for 90 percent of every single thread until there is no more socketsite. Heh. please don’t, and all. But SFGate called. It wants its flames back. I am sure some “long-time residents and workers will not find it pleasant to live or work in the City”. I hear these people all the time. The day when every San Franciscan is happy with everything I will be completed shocked. Looking at the positive side, the 754 unit NEMA is completely rented before the construction is completed. Clearly the negative feeling about density is far from universal. 1) I would posit that those opposed to density will probably not be living in Downtown SF when there are literally dozens of less dense neighborhoods. 2) If you aren’t living in Downtown SF, I’m sorry, your concerns about the density there do not mean (or should not mean) anything. 3) The city as a whole is less dense than Paris, significantly so. Which is interesting because people love to compare SF to a “European” city, yet Paris is smaller and boasts over 2,000,000 people, with virtually all buildings capped at only seven stories. 4) The city as a whole is less dense than THE BRONX. Can we stop panicking about “feeling like Manhattan?” We are nowhere near that level of density. If you take Manhattan’s density and project it onto San Francisco, there would be over 3,000,000 people living in the “7×7”. Manhattan is essentially four times as dense as San Francisco. 5) I’m sure people objected to the Western Addition in the past. I’m sure they objected to the Victorian and 20s era high rises that dot Nob and Russian Hills. I’m sure people objected to the Golden Gate Bridge. We know for damn sure that people objected to AT&T Park. Now, these are features the whole city loves. Cities are growth. Over densification of San Francisco may be a real problem in the future. But as you can see, we are many decades away from even approaching the “Manhattan” density people bemoan. We would have to DOUBLE our population to be HALF as dense as Manhattan. In the mean time, we are in an outrageously chronic housing crisis that has attracted global coverage, with all those opinion pieces pointing to our extremely limited inventory, resistance to growth, and byzantine planning process. How is it that San Francisco can turn a blind eye to what the entire rest of the world sees? The reason housing is so expensive is that, in the words of a much smarter person, “we have chosen to preserve our skyline over our culture”. It’s way to soon to start feeling the effects of these tiny communal units on the cities population. Give it a year or two and then let’s see how the cumulative effects weigh on the average citizen. I would not be raising any flags of success at this point. 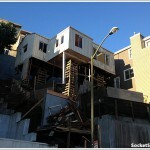 There is still a shortage of housing in SF. But at some point we will cross over the comfort level for most. And let put this over development assessment in context. I live in the SoMa and most of the development I am referring to is either in the SoMa or around the transbay…. And now mid Market and Castro. I am not referencing any of the suburbs of SF, i.e. everywhere else in the city with mostly single family or 4 units and under. And as for Detroit…the Chinese are looking at colonizing Detroit. They are looking at buying entire subdivisions for pennies on the dollar and moving entire populations there to begin anew. Clean air & water….industrial base….complete transportation infrastructure….amazing Art collection. Give it a few more years and the state of Michigan will be handing them entire subdivisions for free just the help out the states tax deficit and public pension liability. The road to sustainable riches is a long traveled one. When SF crumbles into the sea Detroit will still be there. You don’t need to wait to see the cumulative effects weighing on people. From what I can see, people have been complaining there are too many people in San Francisco for the last 100 years. Complainers will always complain. My point is rather than listening to them, look where people put their money. If people put their money in places like NEMA, then it cannot be a bad place. Try interview the condo residents, I am pretty sure they are loving it (other than the price). BTW, the density of Paris (40.7 sq. mi)is 54,324 people/sq. mi, density of the Bronx (57.43 sq. mi.) is 24,516 people/sq. mi and the density of San Francisco (46.9 sq. mi) is 17,590 people/sq.mi. So Paris is approximately 3 times as dense as SF and the Bronx is only 1.3 times as dense. It’s the “south towers” of NEMA that are 100% rented. They’re now pre-leasing the second phase of the development. Yes…and both have far better transit systems than SF. And no limited access points with thousands of daily commuters flooding into our streets. I see no comparison. Have at it anti-car zealots. I am always confounded when people always compare SF to Europe or NYC. Apples and Oranges. too tall! too many shadows! too many techies! too many chain stores! Well, Keepitup…the good thing about where all the development is going, then, is that you barely need transit. If you live at NEMA and work at Twitter, you can walk across the street….. The Chinese colonizing Detroit; SF crumbles into the sea Detroit will still be there. What, pray tell, are you smokin’? You say that as though the THE BRONX were not very dense. But it is, one of the densest places in the country. Unpleasantly dense. Or is Manhattan the standard you’d like to achieve? I really wish people would stop believing that SF is approaching the limit of human dwelling conditions as depicted in a dystopian sci-fi fantasy. This is just ignorant and wrong. There are over 50 major cities around the world that already have over twice the population density of SF. Paris has three times the density. Sure, we’re approaching the limit *suburban style* living with one car and one parking space for each and every resident. But people who think this is the only possible way that humans can live comfortably just haven’t seen much of the rest of the world. @Denise – The Bronx is unpleasant for a lot of reasons, but density wouldn’t necessarily come to my mind first. But the real reason I brought that up is the fear mongering over the “Manhattanization” or, in the extreme case I was responding to above, “Kowloon-ization” of San Francisco. We are so, so, so far from that. Our population would have to increase FOUR TIMES to reach Manhattan levels. THREE TIMES to reach Paris, which I highly doubt anybody would claim is “too dense”. In other words, let me give you a visual…to reach Manhattan, every building on every street in SF would have to be 4x taller. So instead of a four story wall along most streets, it would be 12. That should give you an idea of how far we are from this “terrifying, impending, reality”. I do not want that for SF. Nobody does, really. People just want people to be reasonable about the fact that we desperately need to build housing. And, even though we are the “second densest city in America” (which, honestly, has more to do with where the city boundary lines are drawn and where the metropolitan area starts, if Chicago’s boundaries, for example, were tightened and fringe neighborhoods were made “suburbs” like Daly City, San Bruno, Millbrae, etc it might be a different story), we really aren’t all that dense. We are not five skyscrapers away from reaching Manhattan density, we would need tens of thousands of new buildings. Literally. So get over yourselves. Everybody else in the world sees the problem with San Francisco housing. The opinion pieces written about it in the past year have been staggering and fairly universal in their critique: we need more housing, less appeals, easier building process. I am not saying upzone Glen Park or Cole Valley or even the Richmond/Marina/Hayes Valley, whatever. But I am saying that it continues to frustrate me how we cannot move forward in a timely manner to build up Civic Center, SOMA, Mission Bay, Downtown, which are central areas with fantastic transit (which is especially important in a city that, unless you are drinking “Transit First” Kool-Aid, has awful transit), vacant land, and little existing housing to “ruin”. Once again, this seems to reek of a “python generation” who wants to preserve their lifestyle by limiting what others can do in neighborhoods they don’t even live in while they live in rent controlled housing or mortgage payments from a bygone era, all while voting down housing that would allow the next generation to move here, or at least for those that do live here to not pay half their money on rent. It is selfish, greedy, uninformed, and in denial about basic economics. The real question about increasing density in SF is where to do it. There are many neighborhoods with Victorians and other historical buildings that can’t easily be upsized. I’m not even talking about “preserving historical significance”, but the practical issue of how to add a level or two w/o structural upgrades (which are required and in most cases necessary.) so that becomes too invasive and expensive for most older buildings to justify the added value alone…not to mention the fun-fun of dealing with tenants around here. Most of what I’ve heard being tossed around so far is: build high in soma, FD, south beach and a few other places; build higher around transit (like mission street, maybe Van Ness, Geary and Lombard). So assuming all this is done, how many more people can we add to the city? 100,000? 150,000? Even with all this SF’s density is nothing like Paris, London or NYC. Why not? It has a Bart station. The city has eight high-capacity heavy-rail transit stations, but only 4 of them are zoned for it. Why? BART tried to turn the tiny parking lot near the station in Glen Park into housing, but the car crazies shot it down. We should upzone around all the BART stations and use available land to build on. There is a huge amount of land around Balboa Park BART that could be built on, if we moved the Muni train yards. System-wide most BART stations are in the midst of terribly poor land uses. Surrounding a station with a sea of parking is not transit oriented development. This isn’t just a SF problem, it affects the whole region. The Bay Area needs to get serious about how land use and transportation interact. Expansion of the system should be conditional on a solid plan to upzone the neighborhoods around stations. Better yet, upzone around our existing stations first before continuing expansion. MoD there is SOME positive movement there, although not nearly enough. In Oakland, the Fruitvale Transit Village (housing/retail/office) was built on BART’s parking lot a decade ago, and MacArthur Transit Village is in the works now.